TALLAHASSEE — A loyal soldier, Dr. William Gilchrist Anderson fought one of the most egregious battles in American history, the war against Jim Crow. During several forums Anderson told of his experience of living the struggle most of his life. The Florida A&M University Division of Research, Department of Sociology and the Developmental Research School hosted the man who led the Albany Movement breaking down the oppressive barriers of segregation. But to have a discussion about playing an active role in the civil rights movement was certainly an important experience to share with young African Americans. “Can you imagine what it was like to go to mass meetings every night? The result was that I became a convicted felon for violating the laws that denied us equal rights,” Dr. Anderson recalled during the reception at the Black Archives. 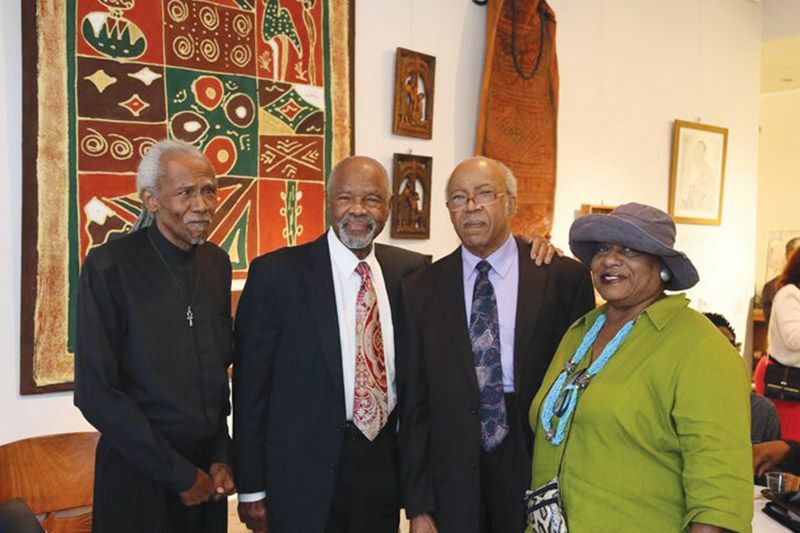 The friend to Dr. Martin Luther King, Jr., the Reverend Ralph Abernathy, and the Reverend C.K. Steele of Tallahassee, Anderson also fought successfully to secure hospital privileges and other critical live saving access for African Americans in the medical field. 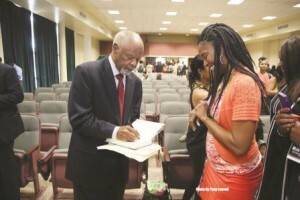 Anderson talked with younger students in K-12 at the FAMU Developmental Research School and about 200 students at the university. Autobiographies of a black couple of the “greatest generation” is the chronicle of Anderson’s life experiences that helped change our world.